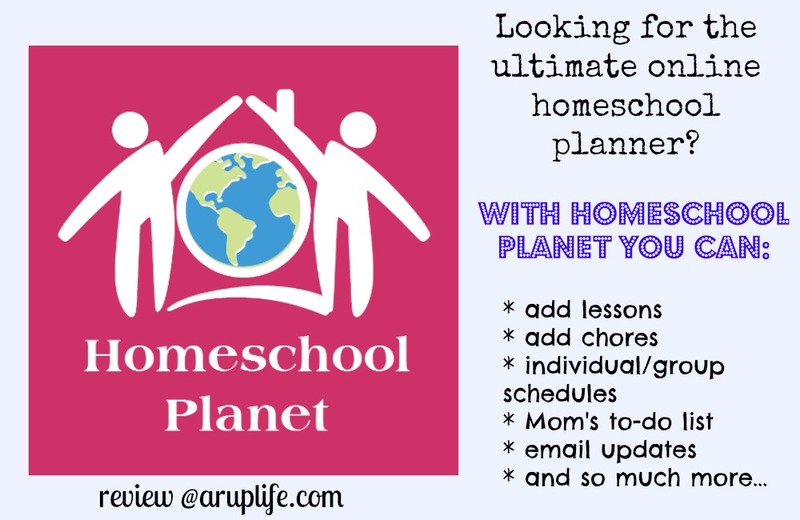 I've reviewed and tried out quite a few homeschool planners over the years. Recently I had the opportunity to try out Homeschool Planet from Homeschool Buyers Co-op . 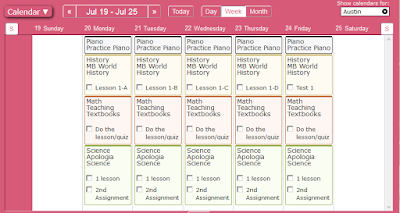 This is a completely online homeschooling planner with so many amazing functions. Seriously it pretty much has everything I've ever wanted in an online planner. This is a product for Mom of course but actually it has a bit more than that. In fact I plugged my kid's emails in so that they could receive a daily break down of what was required of them schoolwork wise. When you first start there are videos to watch to give you a good idea on how to use the program. I watched the opening one and then mostly fiddled around with it. The system gives you plenty of prompts which helps when your a beginner like me. I was able to plug in my two older students and myself - which is all I need for the summer work we will be starting up. I liked that you could do group tasks or individual. Both of my kids do piano daily so that is on each of their schedules. I plugged in the main subjects we will be doing for our 10th grader. As you can see their is a check off on the screen where I can check off what he has accomplished. The system automatically will adjust the schedule if you miss a day (it prompts and asks you if you would like to do that.) I find this feature to be one of the best parts! Say your working along on History lessons and your child ends up sick and misses friday's work. It will shuffle the whole year's schedule to move friday's work to Monday if you like. With just a click of a button! That cut a lot of my lesson planning work down. It only took a few minutes to plug in each course. This program also lets you add daily chores. I love that feature too! I feel like it really has thought of everything a homeschooling parent is looking for. There is even a to-do list for mom - that can be emailed or sent to your cell! I feel like I've barely scratched the surface on all this program can do in this review but I wanted to highlight the features that appealed to me the most. I can honestly that this is what I was looking for. The easy of use combined with so many amazing features makes this the best planner out there. It was like they read my mind when creating this program and put together exactly what I was looking for. Don't just take my word for it - check out what the other Crew Reviewers are saying by clicking on the banner below! That is a great review, Lisa! It does sound like an awesime planner. I wonder how mobile friendly it is.